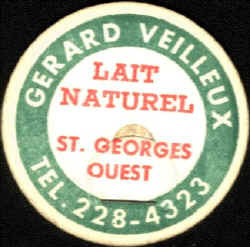 In 1944, Adrien Veilleux was one of the founders of St-Georges Dairy. Gérard (on cap) was probably co-founder! How many were they?